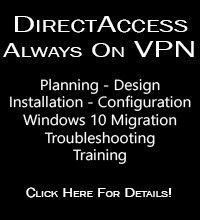 DirectAccess is a compelling remote access solution that provides seamless and transparent, always-on, bi-directional remote corporate network connectivity for managed Windows clients. In Windows Server 2008 R2 and Forefront Unified Access Gateway (UAG) 2010, the DirectAccess server had to be configured with two network adapters, with the external network interface configured with two consecutive public IPv4 addresses. 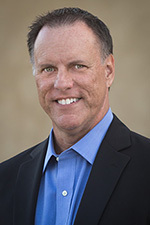 Many security engineers were understandably concerned about exposing a domain-joined Windows server directly to the public Internet, which limited the adoption of the technology. 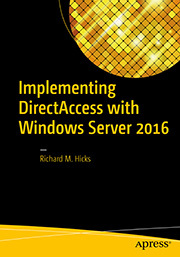 Beginning with Windows Server 2012, DirectAccess is integrated in to the operating system and provides more flexible network configuration. DirectAccess can now be deployed behind an existing edge security solution performing NAT, and even supports single-NIC configuration. The Forefront TMG 2010 firewall is an excellent choice to provide essential protection for the DirectAccess workload. When DirectAccess is deployed behind a NAT device, the only firewall port that needs to be opened is TCP port 443 (HTTPS). When publishing DirectAccess with TMG, it is important to use a server publishing rule and not a web publishing rule. To publish DirectAccess, open the Forefront TMG 2010 management console, right-click Firewall Policy in the navigation tree, and then choose New Non-Web Server Publishing Rule. Provide a descriptive name for the rule, enter the IP address of the DirectAccess server, choose HTTPS Server for the protocol, and then select the network interface on which to listen for these requests. To ensure the proper operation of Receive Side Scaling (RSS) on the DirectAccess server, it is recommended that the server be configured to use TMG as its default gateway and to configure the publishing rule on TMG using the option Requests appear to come from the original client. Also, TMG does not support load balancing for server publishing rules, so it is not possible to deliver traffic to multiple back end servers using TMG. For high availability and to provide for scalability, it is recommended to configure load balancing for DirectAccess using NLB or an external load balancer (recommended) and publish the virtual IP address (VIP) using the steps described above.